For 20 years German craftsman Fazil Terlemez has hand-built elite tournament backgammon boards. Every detail is discerned for aesthetics, durability and playability. The FTH marino wool playing surface is the very best for checker movement and lively dice rolls. Every set comes with marbleized checkers, a distinctive handmade doubling cube and two pairs of precision dice. Gammon Stuff is the exclusive supplier of FTH boards in the US. Visit gammonstuff.com and facebook.com/gammonstuff to learn more. Twin Cities Monday Night Backgammon is designed for the newcomer as well as the experienced player. We put a little aside each week and use part of that fund to go towards Viking Classic expenses. 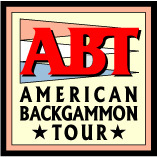 Visit the Twin Cities Backgammon Club on Facebook or our club website. Many thanks to Eric Hiner for donating $500 in added money towards the Friday Frigga event. Many thanks to Eric Hiner for donating $100 in added money towards the Friday Frigga event. Players entering the Odin Open, Thor Advanced or Viking Novice are eligible to receive ABT master points.